Hazelnut oil is pressed from the nuts of the Corylus Avellana, a deciduous shrub commonly grown in many countries around the world. It is an effective soap making oil that is good for all skin types, especially those with oily skin. Often used in products for facial moisturising, dry and mature skin. Helps to tone and tighten the skin. This oil tends to be pale yellow in color with little or no scent. Used in skin sun care products as it has been shown to help filter the suns harmful rays. Is a light oil that is easily absorbed into the skin without leaving a greasy film and because of this is often used as a massage oil. Is said to be stimulating to the circulatory system. Is known for its astringent qualities so is often used on acne prone skin. Has a shelf life of 1 - 2 years if stored in a cool, dark location and refrigerated upon opening. Contains Vitamin E and is high in essential fatty acids. 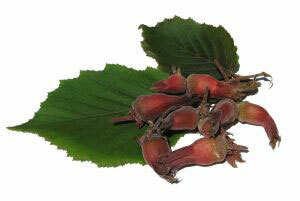 Hazelnut oil is a highly unsaturated oil that is slow to saponify and produces a stable, conditioning lather in soap. When used in soap making, incorporate around 10% of this oil along with more saturated oils in order to obtain more normal saponification times. The chart below shows the approximate percentages of fatty acids present in Hazelnut Oil. As you can see, this oil is high in conditioning qualities due to the large percentage of Oleic and Linoleic.